Prominent British boxing promoter Eddie Hearn of Matchroom Boxing has revealed his plan to build the world’s largest boxing stable and it involves a conscious push into the American market. It is an ambitious plan for a promoter who appears to have only two American boxers – heavyweight contender Jarrell “Big Baby” Miller and former middleweight titleholder Daniel Jacobs – currently under contract. “I don’t want to sound arrogant, but I don’t see [Frank] Warren as competition to me,” said Hearn in an interview with IFL TV. “I see someone who is in my marketplace, who is trying to compete with me. He’s trying to take a share in the marketplace. I have to take him seriously, but I don’t. 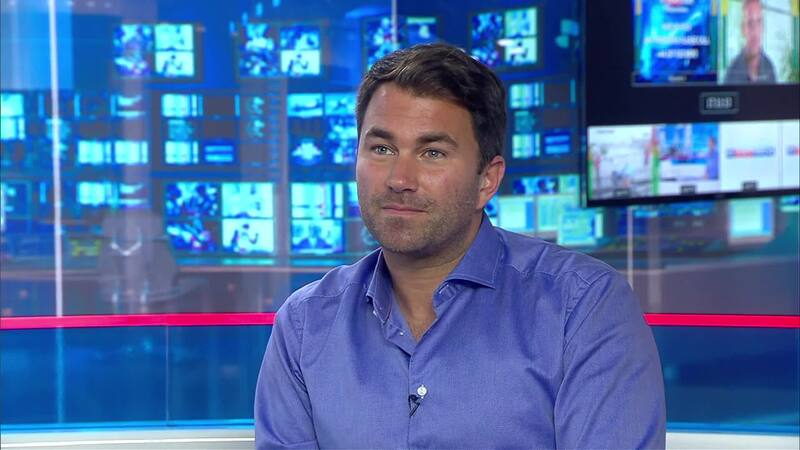 Hearn hinted at the announcement of a deal tied to the American invasion that will be announcement next week. The challenge for Hearn is going to be giving his business interests on both sides of the Atlantic the attention they deserve. “In the British market, we’re obviously number one, but in the global market, it’s more important to me,” continued Hearn. “We’re a global business and I’m looking to take a position in the global boxing market.